Injured individuals are pulled aboard the FRB in ESVAGT's training "Tour de North Sea"
Daily training in the entire fleet keeps ESVAGT sharp, and the shipping company’s own assessor team is visiting the North Sea in ESVAGT’s “Tour de North Sea” to strengthen and deepen competence levels. The FRB (Fast Rescue Boat) from the ‘Esvagt Carpathia’ touched the water two minutes after Captain Peter Pabst sounded the alarm. The boatman quickly reached the distressed people in the water and pulled the four injured individuals aboard the FRB before heading back to the vessel as quickly as it left it. On board, the four wounded individuals’ condition was assessed. A helicopter was requested for the evacuation of a highly injured person who had a cardiac arrest, and for more than an hour, the crew kept hope alive by performing CPR until the assessors ended the exercise and thanked everyone involved. 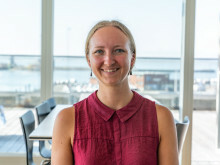 The “incident” is an example of the kind of training that ESVAGT has been rolling out over the past few months, with the vessel ‘Esvagt Carina’ and the shipping company’s own assessor team visiting the fleet’s vessels to carry out the full-scale exercises. This has resulted in two months with evacuations, rescue missions, salvages, losses, fires, and other emergencies. ‘These are realistic scenarios and we train right where they might need to convert the exercise into real life. This ensures that we identify potential need for further training’, he says. Captain Peter Pabst and the crew on board the ‘Esvagt Carpathia’ truly appreciate the exercises. ‘It really is excellent. The exercises are relevant, the assessors are qualified and seasoned, and the crew is fully engaged. 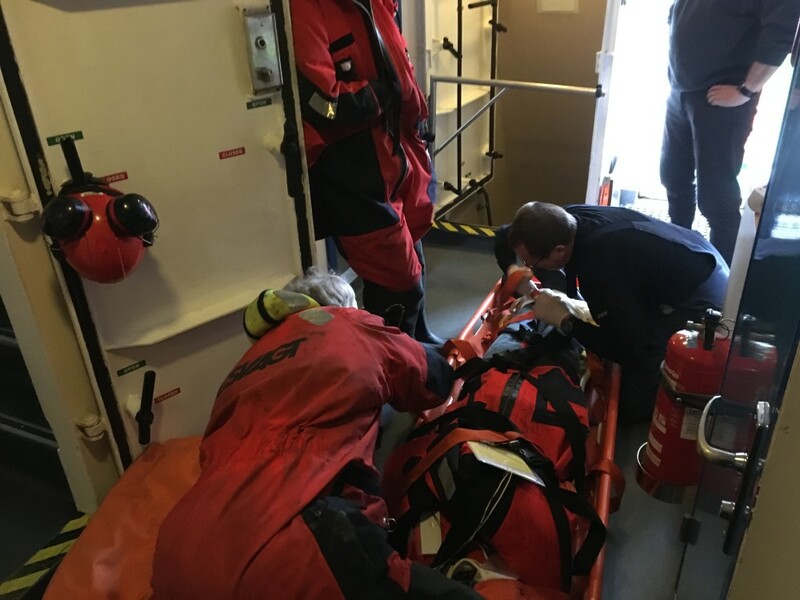 It takes an hour and fifteen minutes to be evacuated by helicopter from the vessel’s location – so we performed CPR for an hour and fifteen minutes. It is hard work, but important training, says Peter Pabst. 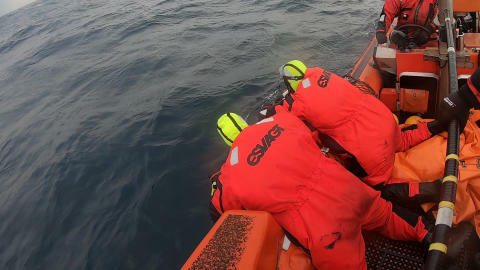 The preparedness and skills in rescue missions at sea is a cornerstone in ESVAGT’s operations, and the assessors’ tour within the fleet, also called “Tour de North Sea”, aims at complementing the daily rescue exercises and reinforcing the crew’s competences. ‘We must guarantee the preparedness and FRB competences that the client expects. We ensure this through daily training and OPITO exercises, which the entire fleet carries out – but we want to go the extra mile and further intensify the training. The exercises allow us to do that’, says Steffen Rudbech Nielsen. The full-scale exercises are carried out in close collaboration with the clients, who have followed the training with great interest. ‘We have received positive feedback from clients. They appreciate our extra training, and the response has certainly been positive’, says Steffen Rudbech Nielsen.